When it comes to the South-western United States, nothing screams American food like tacos. No, really! Historically speaking this little bundle of food joy originated from Mexico, but its charm and good looks helped it to quickly jump the border, and was enthusiastically adopted by Americans. Now in its new home, the taco has been reinvented. Traditional toppings were changed, discarded, or updated, and things like shrimp tacos and choco-tacos were born. Few cities take their tacos more seriously than in my hometown of Phoenix, Arizona. 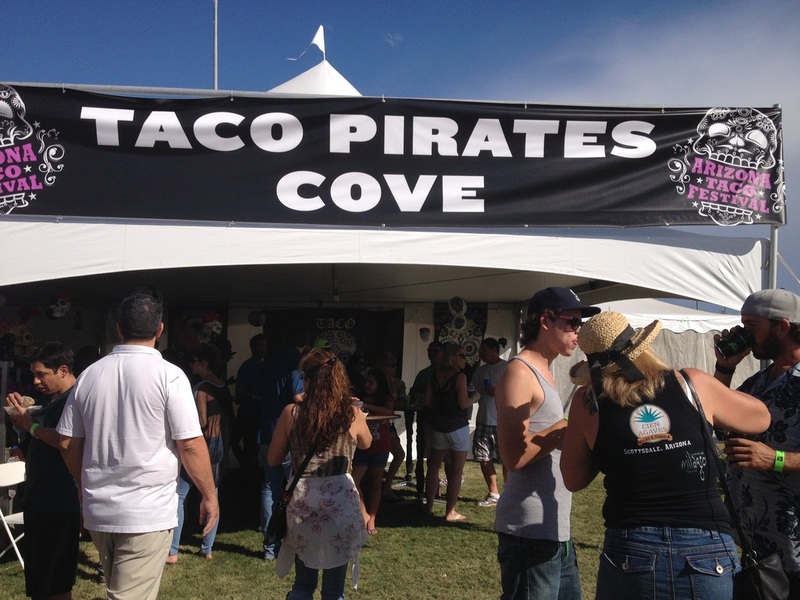 Our annual two day Taco Festival is a smorgasbord of the best and most creative tacos in the region. 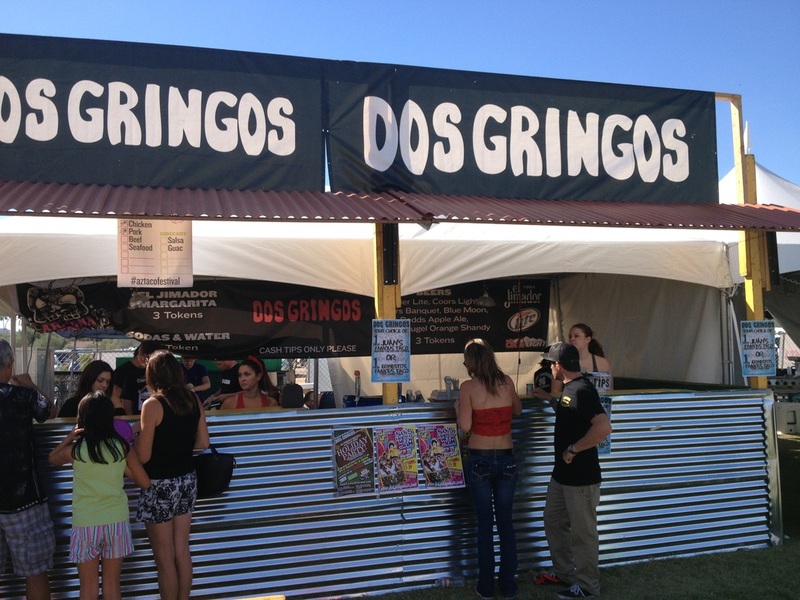 This year boasted 45 different food and drink vendors! Manageability: excellent handheld size—you can fit one in each hand no problemo! Manageability: same awesome handheld size as pork; in fact you can have one for each hand! Run by Chef Karsten Hartig and team, they swept the competition last year like Captain Jack Sparrow. No one expected this private chef team to be so amazing! This year they already took home the title of Grand Champion on the first day of the festival! 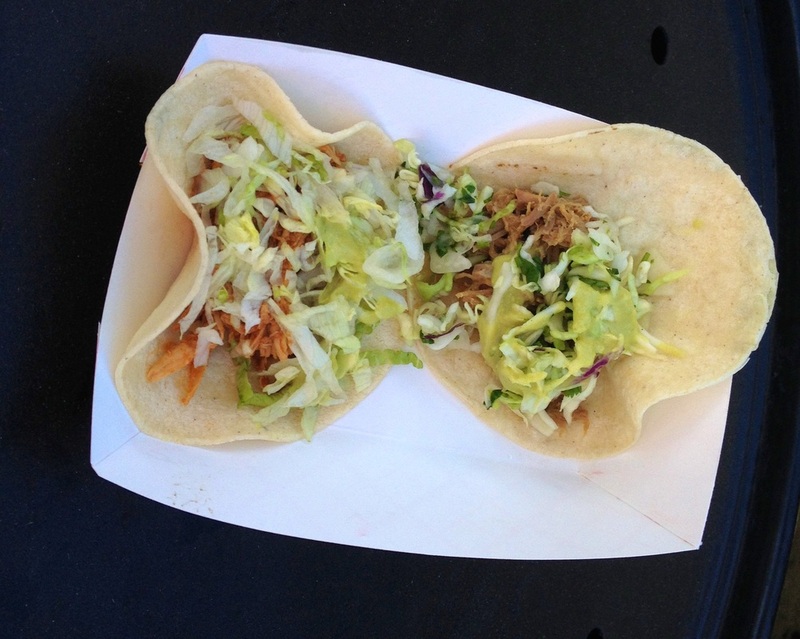 Manageability: street taco sized, easy to hold in one hand, and easier to eat! Flavour: Clearly red salsa is just as good as green when it comes to pork tacos. The lack of cabbage works really well as the onions provide a good “crunchabilty” factor. Excellent balance of salsa to meat ratio. Spice level: mild/medium—this taco takes it up a notch. The spiciness sits longer on the tongue and provides an authentic Mexican heat. Om nom nom! Manageability: same size and “eatability” as the chicken taco. Open wide! Elegantly presented on a soft flour tortilla, this taco was like biting into the magical mystery tour. With a seemingly secret recipe that was a delight to all the senses. Flavour: complex and multi-layered, the flavours were zesty but sweet. The meat was marinated in an almost mole-tasting sauce. Beyond tender, the beef melted in your mouth. Lightly sprinkled with almost micro “strings” of cabbage, white cheese, and red and green jalapeños—a lot happening here! Spice level: medium—the spice is hidden under the sweet flavour of the mole-esque sauce. For spice virgins, it might come as a surprise, so keep your beers handy! 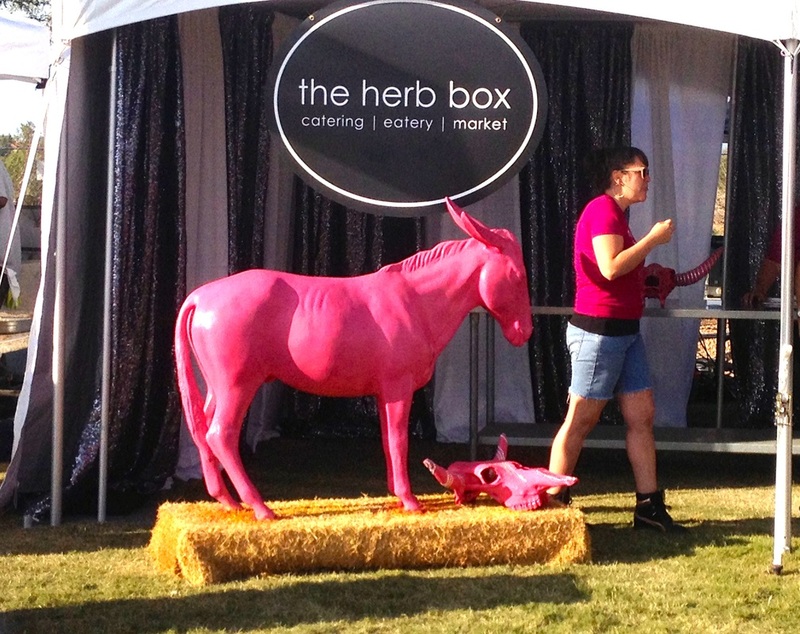 A restaurant and superb catering joint, the Herb Box supplied the best vegetarian taco I’ve ever had—hands down! They are on my list of must visit restaurants—and you should try them too! Flavour: A taco from heaven! This little beauty is jam packed with sweet and spicy flavours that are divinely inspired, and a personal favourite. Sweet tangy notes from the red onions were complimented by the crunchy corn salsa. And the sweet potatoes were so delectable that I didn’t even miss the meat! Manageability: hand-sized taco, wrapped in tin-foil makes this the most easily portable taco out there. A definite plus for the mobile eater! Of course there were many, many more, but not all made my list of best tacos. 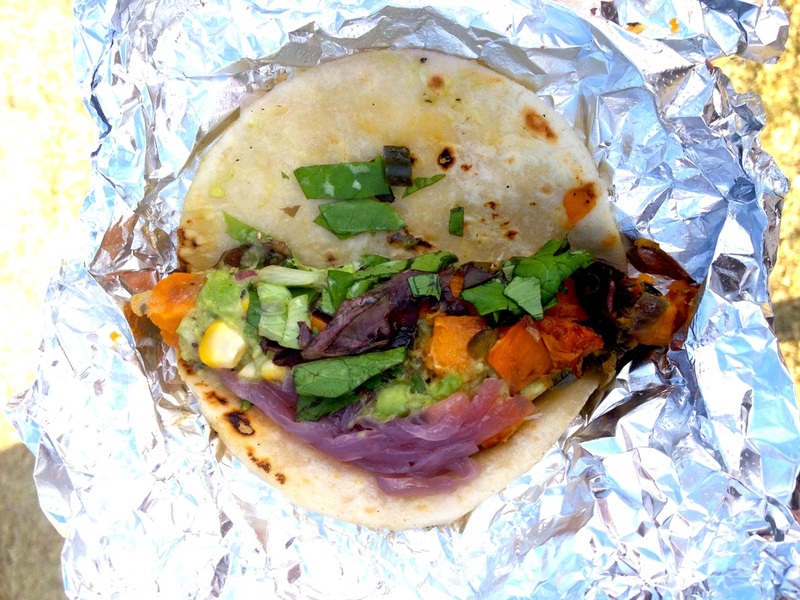 But I would hands down recommend The Herb Box’s sweet potato taco, and Milagro Grill’s beef taco with mole-secret-sauce. 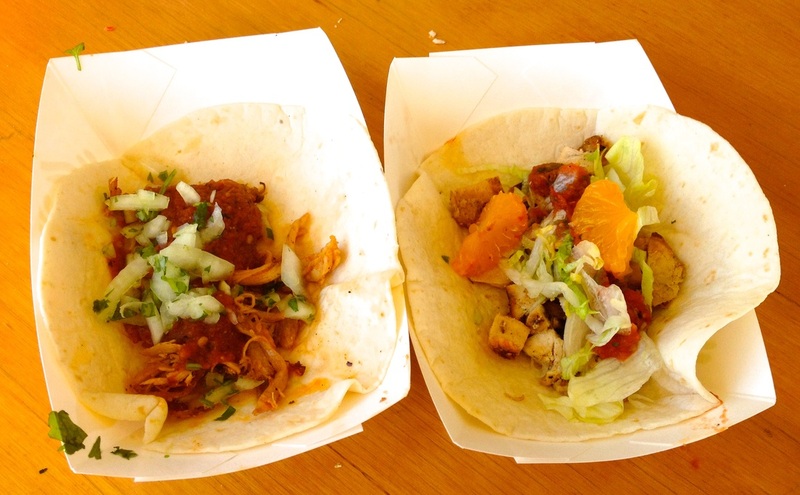 Be sure to try both these places for tacos like no other! Arizona is a place like no other when it comes to tacos! See the other delicious contestants here.